Product size – 15.4×5.7×3.3 inches (39.1×14.4×8.3 cm). Color – White and metal. Pacific Precision Metals have made some of the best selling can crushers on the market and this 77702 aluminum can crusher is no exception. It is a true workhorse, made in the USA, it has got a high quality steel parts. 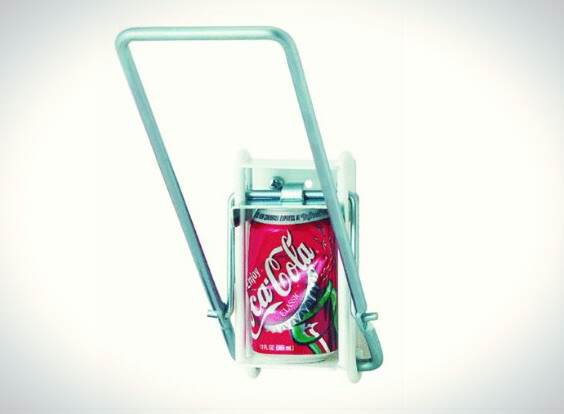 The design of this aluminum can crusher is simple but effective. It consists of a frame, mounting hardware, crushing mechanism and crushing handle. What differs this Pacific Precision Metals can crusher from other can crushers is that all parts of the tool is made out of a steel. There are practically none plastic parts, so the tool is as sturdy as possible. Although we have seen other steel crushers that have some poorly made parts and which tend to be even more fragile than cheaper plastic crushers, this is not the case. All parts are made form a high quality, durable steel that will grant a long work life for the unit. 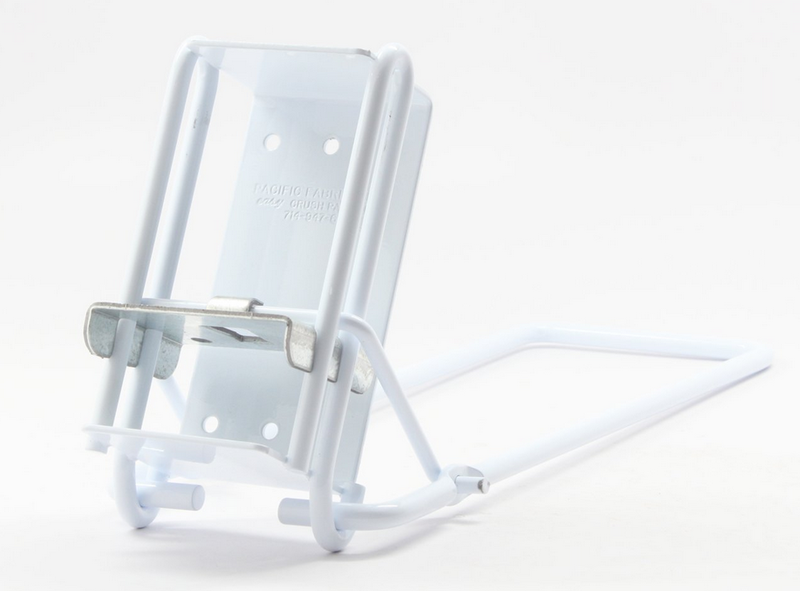 From the design perspective, Easy Crush can crusher looks pretty basic, it has got a white powder finish for the base of the unit and crushing handle has simple, metal look. It is not the most attractive can crusher we have seen, but its advantage is practically, not the look. You can install it into your garage or basement and use it there if you do not like the look of it, however we actually enjoyed its simple design and found that it suits interior of the kitchen quite good. One thing this crusher could benefit from is a padded handle, which might be useful if you would want to install the crusher into garage or basement and want to use it in winters. 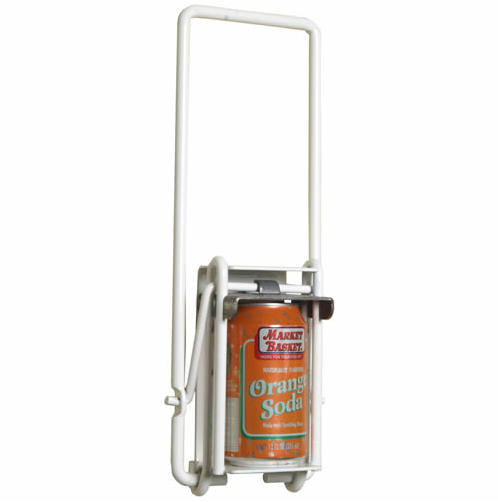 This can crusher will crush cans up to 12oz size. If you’re using mostly larger 16oz or other sized cans, you may want to look at 16oz crushers rather than this one. However, if you occasionally have a larger aluminum can to crush, simply pinch a can in the middle so it bends a bit and fits into the can crusher. Pinching cans in the middle before crushing will also make 12oz can compression easier. Easy Crush can crusher is going to compress 12 oz cans down to less than 1 inch size. The crusher must be mounted to a vertical surface, such as a wall. The crushing process is pretty simple and easy, just place a can into the crusher, pull the metal handle down, it will compress the can to approx. 1 inch size, and then just take the empty can out of the crusher and throw it in the trash. This aluminum can crusher does not have an auto-dispensing feature, so you must take each can out after crushing and place the next one in. Be careful when taking a compressed can out of the crusher with bare hands, because can might have very sharp edges, wear gloves for extra protection. It is easy to install this aluminum can crusher, and it comes with all mounting hardware needed. If your are going to use the crusher a lot, we suggest getting more durable screws, but for a regular usage screws included are going to be decent enough. Mount the unit to a sturdy surface like a wooden wall or similar, because the crushing process puts a lot of force on the area the crusher is mounted to and might damage that surface. Aluminum cans sometimes tend to stuck in the crusher after compression, but they can be easily removed out with a screwdriver.